Sharon, Janie and I rolled from Janie's house about 10:20 am. The plan for the day was wine tasting in Sonoma and Napa Counties and Dinner in Yountville to celebrate Janie's birthday. Following Waze through Woodland and Winters, it took us about an hour and 45 minutes. The first stop was Donum Estates. 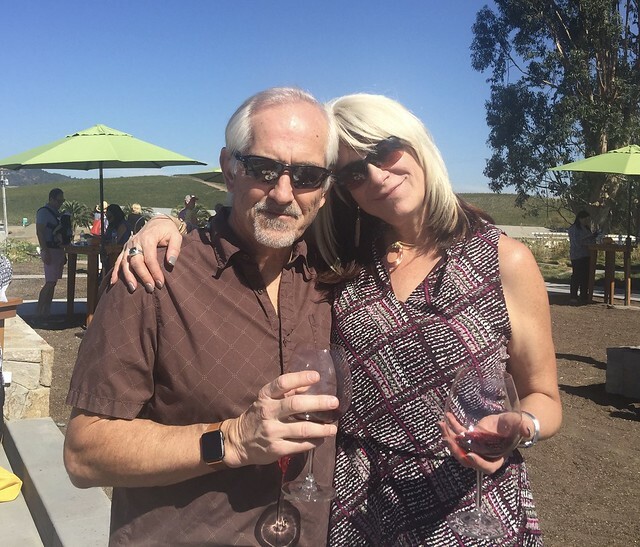 They were having their Harvest Festival and celebrating the opening of their new tasting room. Sharon has been a wine club member at this winery since we stopped with the Sanborns on the way to Sea Ranch earlier this year. From there, we headed to Bouchaine Vineyards. Both Sharon and Janie are wine club members and had a shipment to pick up. Sharon has been a wine club member at this winery since we stopped here on Valentine's Day in 2010. After a stop at Cabi at the Outlet Stores in Napa, we headed to Ad Hoc in Yountville for an early dinner. 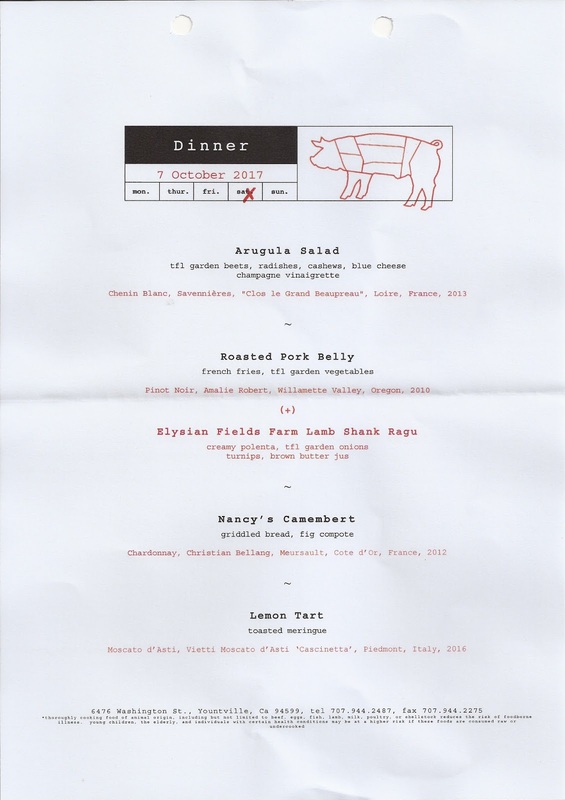 The menu included Arugula Salad, Roasted Pork Belly and Lamb Shank Ragu. A copy of the menu is included after the jump.